Am I The Right Guitar Teacher For You? Choosing the right guitar teacher for you can make a huge difference to your progress. The right guitar teacher will motivate you, help you work on the right things, and guide you towards your goals. To help you figure out whether I’m the right guitar teacher for you or not, here’s a bit of information about me, my music tastes, and my experience as a guitar teacher. After reading this page, you’ll have a good idea whether you might want to take lessons with me, or whether you should look for somebody else who fits your needs better. I’ve been teaching guitar for around 15 years. While I started by teaching other kids from school, I started taking teaching seriously at around 18. My experience as a beginner when I was 10 taught me that being a good guitarist isn’t enough for a teacher. Just because somebody has great technical skills, it doesn’t mean they’ll be a good teacher. To learn how to become a good teacher, while at University I spent a lot of time reading up on teaching methods, strategies, and techniques. I still spend time each week reading to improve my teaching abilities. This is an area I know most guitar teachers neglect. So I make it my priority to continuously learn and improve my teaching skills. If you read through my music interests below and feel that I’m not a good fit for you, I have one piece of advice: make sure the teacher you find actively works on improving their teaching abilities. I spend hours every week reading up on teaching methods. That’s something I know a lot of guitar teachers don’t bother with. My philosophy is that if I become the best teacher I can possibly be, it makes your job as a student much easier. You learn faster and easier when your teacher knows how to find the right approach for your learning needs. In addition to teaching guitar, I also train, coach, and mentor other guitar teachers. A lot of guitar teachers regularly ask me for help with their students, so I have a lot of experience I can use to give my students a better learning experience. While I listen to a lot of music, there are some bands and guitarists I keep coming back to again and again. If you also enjoy music from some of these bands or guitarists, that’s a good sign that we might be a good fit for lessons. Lessons are a lot more fun if you and your teacher have a similar passion for music. It’s perfectly fine if we don’t have a perfect match in terms of music tastes. I don’t expect anybody to like all of the bands I list below. As long as you find at least 3-4 bands that we both like, that’s fine. I listen to music from bands not listed below, so don’t think that this list is everything I listen to. Here are my favorite bands and artists in chronological order (from when I first started listening to them). Metallica is the band that kick-started my passion for guitar. 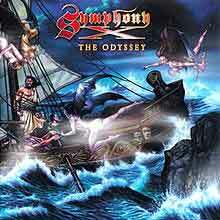 The big chunky riffs, clean arpeggiated parts, and interesting solos gave me plenty to work on. After learning most of the songs on the Black album (that’s the only Metallica songs they played on the radio), I finally heard their older material. 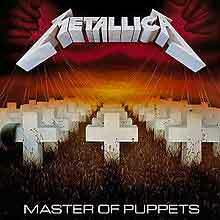 Songs like Master of Puppets and One showed me that there is a lot more to music than typical verse-chorus songs. The progressive structure of their older songs and the odd-time changes gave me plenty to wrap my head around as a self-taught guitarist. While I enjoyed the challenge of learning the solos, it’s the riffs I enjoy the most. James Hetfield is a monster of a riff-writer. If you’re interested in learning Metallica songs, check out this article for more info on techniques to work on. 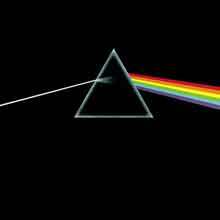 Like many young teenagers, I first started listening to music my parents listened to. The songs that always stood out to me were songs that featured awesome guitar parts. I still enjoy listening to and jamming along with Santana’s earlier work and David Gilmour’s lead playing. Bit of a shift in genres from Santana and Pink Floyd, right? 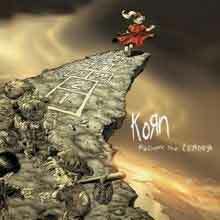 Nu-metal was huge in the early 2000s and Korn grabbed my attention more than other bands at the time. They didn’t just play low tuned and simplistic riffs like other bands, they also combined those riffs with melodic lead parts and effects. While I didn’t have a seven string guitar at the time, I enjoyed tuning my 6-string down and figuring out the riffs by ear. Slipknot’s low tuned guitars and fast riffing helped me take my rhythm playing to new directions. While I liked the guitar parts, Corey Taylor’s vocals really grabbed my attention. 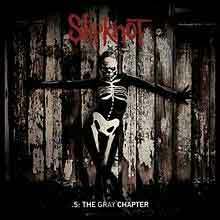 While I listen to Stone Sour as well, I prefer the guitar parts from Slipknot. The release of Vol. 3 The Subliminal Verses may have divided the fanbase, but the change in style towards slower and more melodic playing fit with me well. I like fast and heavy riffing, but I really enjoy songs with a good sense of melody. 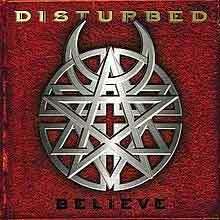 It should be no surprise that I was really into Disturbed based on the other two bands above. The simple guitar parts were easy to learn and fun to jam along with. While I enjoyed playing complicated riffs, there’s something fun about playing the simplest riffs possible. 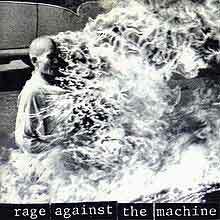 RATM and Audioslave are great examples of simplistic guitar playing that’s still fun to play. 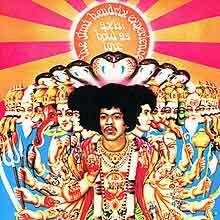 As I started becoming more serious with guitar, it was only natural that I would start listening to Hendrix. While there’s a lot of Hendrix songs that doesn’t appeal to me, there’s a lot to learn from his playing. One day a friend a friend showed me a video (this was before YouTube, so he had the video file burned onto a CD) of Yngwie performing Arpeggios from Hell. It blew my mind. While it might look tame by today’s standards (check out Tina S’s cover of it), at the time I had never seen somebody’s hands move so fast. 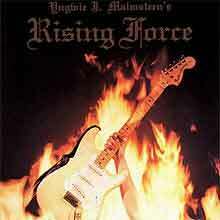 Yngwie opened my eyes to a completely different world of guitar playing. I didn’t even know that type of speed and technical skill was possible. While today I don’t listen to much of Yngwie’s work, I enjoy listening to him rip into his Harmonic minor scale runs and diminished arpeggios. While a lot of guitarists turn up their nose at Yngwie’s style, it’s a lot of fun to be able to play that stuff. After learning about Yngwie, it wasn’t long before I heard Steve Vai’s For the love of God. The amazing melodic phrasing, the fast legato, and the Lydian vibe instantly grabbed my attention. Steve Vai is hands down my favorite guitarist. While I’m not a fan of some of his quirky songs, I really enjoy his more serious and melodic work. 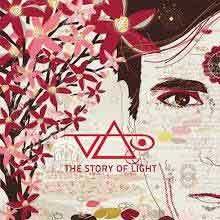 I enjoy throwing on a Vai backing track and playing his songs more than any other artist. Joe Satriani and Steve Vai are two of my biggest influences on guitar. While I enjoy listening to music with vocals, I prefer playing songs where the guitar is the main focus. 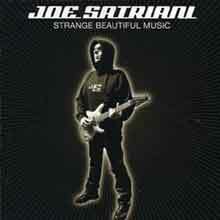 I like Joe Satriani’s sense of melody. While a lot of guitarists like the fast and technical side to his playing, I prefer listening to his slow and thoughtful side. A lot of my students enjoy learning Satriani songs because they’re not as challenging from a technical point of view as other instrumental guitarists. John Petrucci is a beast of a guitarist. I’m impressed with every aspect of his playing. His riffs are fun to play, he has killer lead skills, and his sense of melody is amazing. Dream Theater opened my eyes to progressive music. I had never really taken much notice of drums until I heard Mike Portnoy (I often watch his drum cam videos on YouTube because it’s so interesting to watch him play). 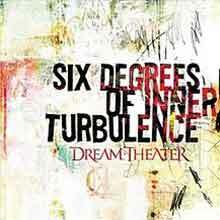 There’s so much to learn from the way Dream Theater write songs and how they wear their influences on their sleeves. When some of my students feel stuck in a rut with their songwriting, we often break down some Dream Theater songs to bring out fresh ideas and inspiration. Michael Romeo is such a talented guitarist and deserves recognition for his skills. Since I first heard Sea of Lies, I’ve enjoyed listening to and attempting to play his killer riffs and solos. The above bands and guitarists should give you an overall idea of the type of music I enjoy. While I do listen to other bands and other styles of music, it should be clear that I enjoy music that heavily features guitar. Want to take Skype guitar lessons with me? If you enjoy any of the bands or guitarists I’ve mentioned above, it might be a sign that we would be a good fit for lessons. You’re welcome to contact me here to discuss what your guitar goals are and I’ll be able to give you a better idea whether I’m the right teacher for you or not.